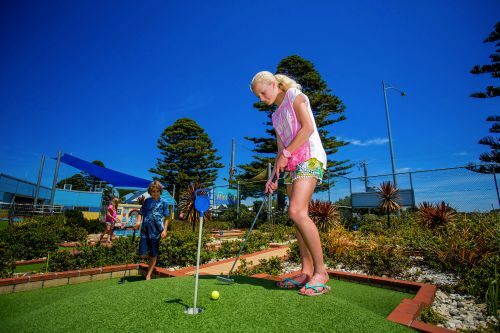 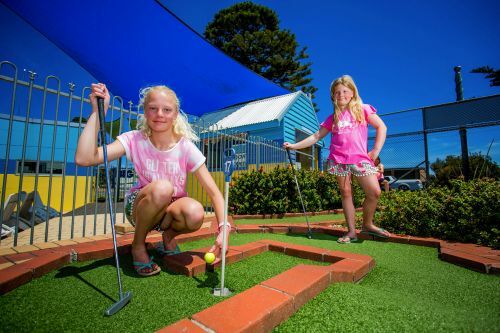 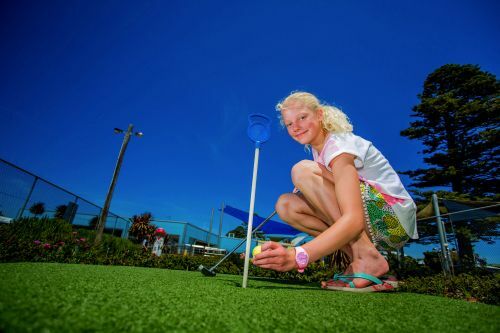 Why not channel your inner Greg Norman or Carrie Webb and take on our 18 hole mini golf course. 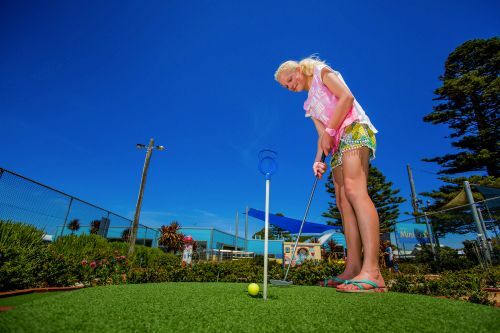 Set within landscaped gardens with paved walkways and its very own Mt Kosciuszko!. 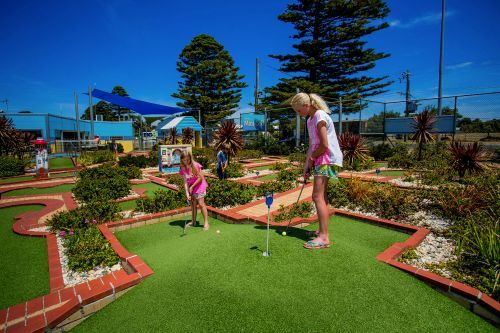 The tricky greens will challenge and confront any keen enthusiast. 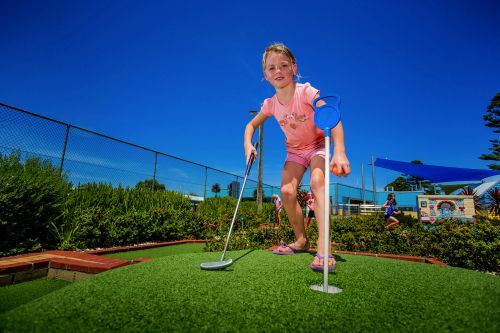 There are several arches, tunnels and obstacles to navigate around as you put your putting skills to the test. 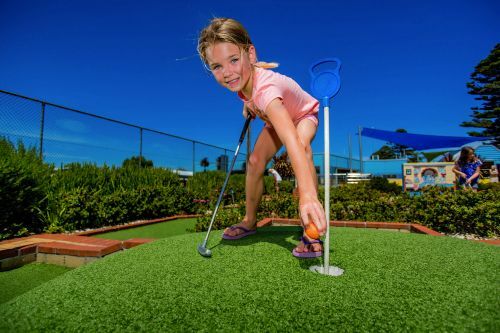 The course is open daily from 8.30am until dusk and is available to the public. 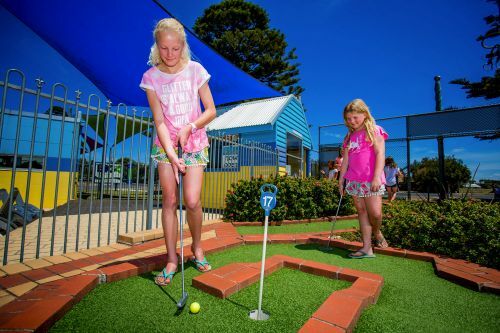 Special discount rates apply for guests of BIG4 Port Fairy.